The principle of risk-return trade-off: Risk and return are closely related with each .other. More risk, more return is a common statement. Naturally, an investor expects more return for taking more risk. The principle of net cash flows: To implement any investment decision, it is important to determine the initial cash outflow to initiate the project and cash inflows received from the project. The principle of internal financing: It must be preferable to raise funds from the internal sources. The principle of the time value of money: The value of money changes due to change in time. One must prefer today’s one taka (Tk.l) than that of the future. The principle of debt repayment: It is important to repay the debt capital in time. The principle of Diversification: It is not wise to invest all the fund in a single project. The fund must be diversified to diversify its risk. Principle of recovery: An important principle of business finance is the principle of recovery. It is very much crucial that whether the terms of recovery will be flexible or rigid. The principle of minimum flotation costs: Flotation costs are needed for external financing. The cost of capital increases due to flotation cost. So, the matter of minimum flotation cost is to be kept in deep concern. Ideal principle of financing: Ideal principle of raising funds is to run properly. Ideal principle of financing means current assets are to be acquired from short-term fund and fixed assets are to be procured from long-term fund. Principle of recovery: An important principle of business finance is principle of recovery. It is very much crucial that whether the terms of recovery will be flexible or rigid. Ideal principle of financing: Ideal principle of raising funds is to be run properly. Ideal principle of financing means current assets are to be acquired from short-term fund and fixed assets are to be procured from long-term fund. Principle of the minimum cost of capital: Investable funds are not found free of cost. Also cost of capital are not the same for different sources. At this regard, such measures are to be taken which can show the way to lower the cost of capital. Principle of dividend policy: It is important to the financial manager that what percentage of profit will be distributed to the common shareholders as dividend and what percentage is to be kept as retained earnings for re-investment. The principle of priority: There may be several project profiles. Among them, which projects are to be given priority bears importance. The principle of firm’s goal congruence: The objective of financing to run projects is to earn some profit. But, the specific goal is to be determined. The principle of the business cycle: Effective and corrective measures are to be taken at different stages of the business cycle. 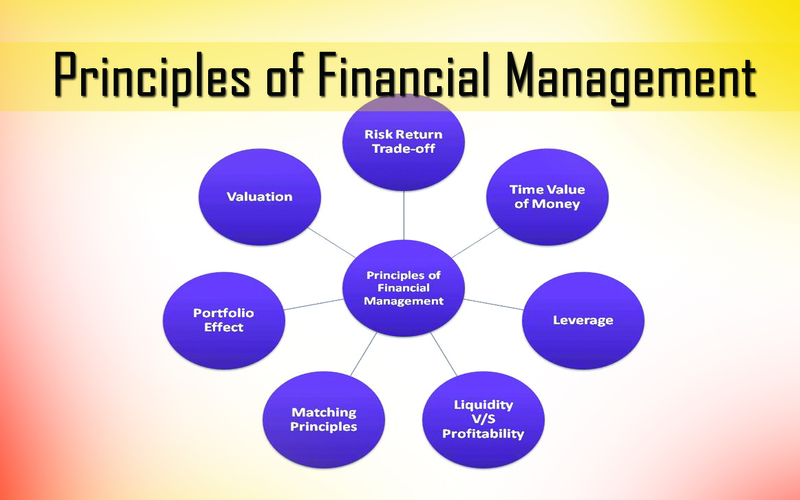 In fine we can say if the financial manager of a firm follows the above principles, the goals of the firm can be achieved easily.